This month’s NRC meeting is on April 11 at the MSU Veterinary Diagnostic Laboratory located at 4125 Beaumont Road, Lansing, MI 48910. If you are unable to attend but would like to watch, join us live at MUCC’s facebook page here. The day will start at 8:30 a.m. with the Michigan State Parks Advisory Committee (MSPAC). They will take action on management plans for North and South Higgins Lake State Park. They will also discuss plans for information regarding Warren Dunes State Park and Saugatuck Dunes State Park. The meeting will end with updates about the MSPAC finance committee and the state trails plan and program. At 10:30 a.m., the Policy Committee on Wildlife and Fisheries will come to order. On the agenda is an update from Michigan Department of Natural Resources (MDNR) Fisheries Division Chief Jim Dexter. Russ Mason, MDNR wildlife division chief, will also give an update including fall turkey regulations and furbearer regulations. The NRC Committee of the Whole will convene at 1 p.m. following a break for lunch. The committee will start with a report from MDNR Director Dan Eichinger. His report will include updates about chronic wasting disease and bovine tuberculosis. There will also be lifesaving awards presented to certain individuals from the law enforcement division. Fall turkey regulations for the 2019, 2020 and 2021 seasons are up for information before the NRC. The full order can be found here. Largely, regulations will remain the same as they have been in prior years including the season dates. Recommended license quotas from the MDNR are set at 51,350, with a total of 4,650 general licenses made available through the Turkey Management Unit (TMU) lottery system. Commissioners will be taking action on Fisheries Order 200.19A which has been discussed in both of the two previous NRC meetings. The order can be found here. A previous decision was made by the commissioners to reinstate the 33 UP streams that have a bag limit of 10 brook trout daily. These streams had been omitted prior to the order’s approval at the November NRC meeting without some commissioners’ knowledge.Specific language affirming the 33 U.P. brook trout streams were not in the order, but some of the commissioners believed the streams were included in the order. Commissioner John Walters (Vanderbilt) has stated on numerous occasions that he knew what was in the order and that’s why he voted as such. 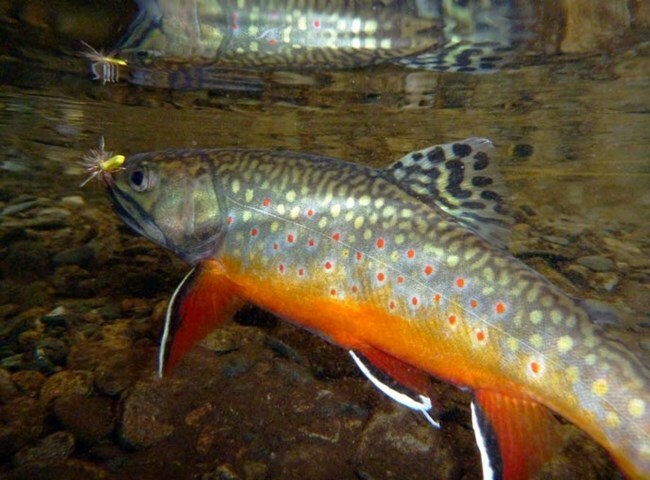 This order is likely to draw criticism from Trout Unlimited and others in the conservation community until the MDNR can provide sound science that proves a 10-brook-trout limit on these streams will not negatively impact the resource.